The AD7416 is 10-bit temperature sensor that can operate from a single 2.7 V to 5.5 V power supply. The AD7416 is a temperature-monitoring-only device in an 8-lead package. 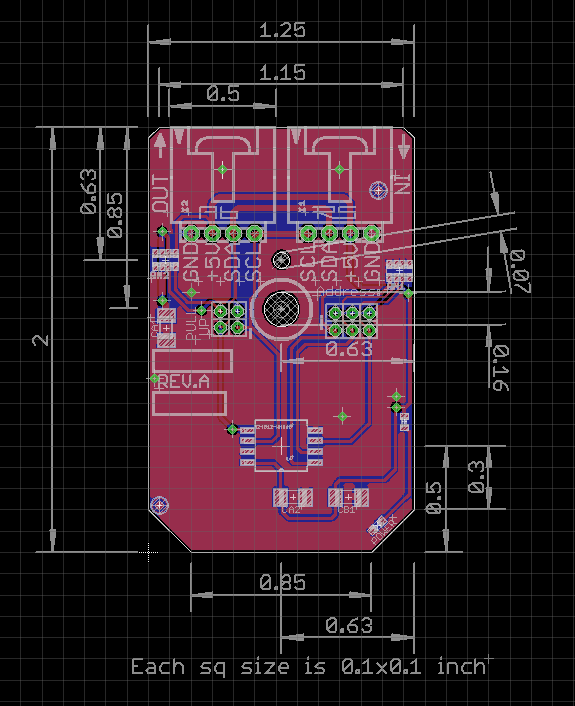 The temperature sensor on the parts can be accessed via multiplexer Channel 0. When Channel 0 is selected and a conversion is initiated, the resulting ADC code at the end of the conversion gives a measurement of the ambient temperature (±1°C @ 25°C). A programmable fault queue counter allows the number of out-of-limit measurements that must occur before triggering the OTI output to be set to prevent spurious triggering of the OTI output in noisy environments.